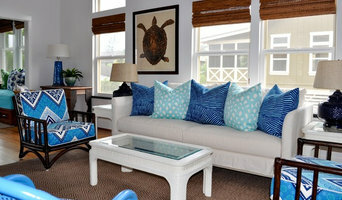 Dream Decor provides home staging and redesign services to the entire island of Oahu, Hawaii. The passionate and creative talents of Lisa & Hiram will transform any space into one full of warmth, beauty, and style. Their services allow homeowners, realtors, and investors to show their homes with the broadest appeal to the widest range of home buyers. From design, project management, to completion. Creating your island dream home is a journey, one we're always excited to take with you, offering our experience and expertise along the way. Hawaii Modern Architecture and Interior Design is an architecture and interior design firm in Honolulu, HI. We are committed to the idea that architecture and interior design are go hand and hand. Our practice focuses on working with the architect and contractor of your choice or we can provide complete architectural services, taking your project though design, construction documents, permitting, bidding, and completion. We have a client-focused approach. Our expertise and experience can be counted on to knowledgeably guide you through the many decisions that are required for new construction, renovation or interior design. We will be your advocate from the start of your project to completion. We would love to help you design your dream home. Sara Lambson’s 17 years of continual growth & dedicated involvement in the interior design profession, combined with her natural talents, brought her to Kauai with a wide range of design abilities. We are a full service home staging firm working with both realtors and home owners in Oahu. We have a complete inventory to fully stage homes to sell. Our goal is to provide unparalleled customer service, while creating a lifestyle of comfort, beauty, and island living. Give us a call today! We'd love to help you with your project. As an Interior Designer I see myself not as much an artist as I do a service provider. I can take your blank room and create a wonderful place that suits your style and needs, but more importantly I can take your ideas and see them through in a timely and cost effective way. As you can see by my reviews, I work for you, not the contractor, not the vendors selling you the merchandise. Give me a call or visit my website to learn more about my services and to view my current projects. Suda Shades & Design begins with a complimentary consultation at your home, so we can work together on achieving exactly what you want. We have a wide variety of different samples on hand. 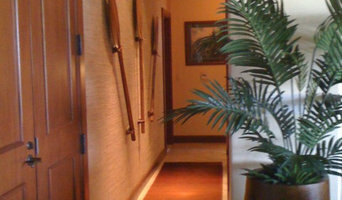 Hawaii Modern Architecture and Interior Design is a full-service interior design firm in Honolulu. We have a client-focused approach and would love to help you design your dream living area. Welcome to pacific home, located in Hawaii. we have locations in honolulu (Oahu) and Kahului (maui). Browse our inventory to find a quality selection of indoor and outdoor furniture. see our most popular selections of furniture on our website, or stop by our store to talk to an interior designer who can guide you through designing a custom furniture piece for your home or office. 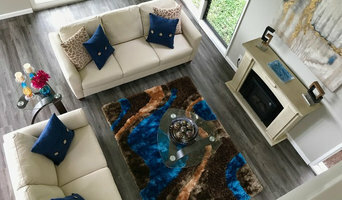 Our wide selection of stylish pieces all have an elegant and contemporary island style, perfect for living rooms, bedrooms, and dining rooms with a unique pacific style. Our goal is to provide unparalleled customer service, while creating a lifestyle of comfort, beauty, and island living. Debbie Mooers is an industry leading, award-winning interior designer and has honor recognition in fields of discipline-interior design and custom furniture design. Andrea Lecusay Interiors is a Hawaii-based firm dedicated to creating timeless living environments in harmony with nature. Our firm fosters a customer-centered culture with the experience and dedication to best serve clients. We are committed to creating beautiful, sustainable, spatial portraits with simple, clean lines. The fine details of our spaces express and reflect a deep respect for cultural heritage and a meticulous pledge to fine craftsmanship. As a graduate in Interior Design from Moore College of Art and Design, coupled with a dedication to client satisfaction, Liza Nicole Interiors enjoys creating custom, functional, beautiful and timeless residential and boutique commercial spaces for clients. Liza Nicole Interiors provides comprehensive interior design services with a focus on custom finishings. Liza assists residential and commercial clients in transforming their vision into a space that meets their unique needs. Oahu's Custom Full Service Home Staging Firm Best of Houzz 2018! Design Approach: Sonia believes interior design is a collaborative process between designer and client. She enjoys working with clients to create beautiful and functional spaces that reflect their personal aesthetics in a fresh way. Her work is described as clean, eclectic and simple. She likes mixing design styles, materials and textures and says the unexpected combinations results in a more interesting space. Sonia finds inspiration from various things around her. She says it may be the color of a gemstone in a piece of jewelry, a tile pattern, the design of a table or a unique accent piece… inspiration can be found everywhere. Services: From full scale new construction and remodels to helping clients with accessories and artwork to warm up a space, Fresh by Sonia Freitas offers a variety of interior design services. Regardless of the size of the project, Sonia takes pride in attention to detail and client service. Honolulu-based, sustainable, eclectic Mid-Century Modern interiors and original vintage art curation + sales. Interior Design, Staging, Repurposing An affordable alternative for beautiful, simple, organized design. Bracing style, clarity of vision… a firm partner in your quest for modern life. Carefully considered ideas that resonate throughout each space, engaging the senses, freeing the imagination and reflecting the innermost thoughts and desires of her clients. Every room is cool yet comfortable, rich yet calm, composed yet sensual. Every Shari Saiki interior serves you the rare and raw flavors of the world. This is the discipline and focus of Shari Saiki Design Studio. Founded in 1998, this acclaimed interior design firm continues to pioneer and transform Hawaii’s interior landscape. A full service Interior Design firm offer Design Concept to Completion, New Home Build, Renovations. Residential, Commercial and Hospitality. Jarret has clients throughout the country, and focuses primarily in Hawaii, New York and Miami. Every home offers an opportunity to create harmony and beauty. Jarret's goal is to create a personalized living experience that resonates with and enhances how you live. The foundation to designing a livable solution is by understanding what is most important to you. What isn’t working for you? What do you wish for? What would make you happy? From that point, we then take an inventory of your own personal collection: what has meaning and resonance? Then we can begin to build around those items. From one-of-a-kind vintage or exotic overseas pieces to familiar American or items from antiquity, Jarret incorporates both classic and modern objects to balance, weave and construct your space. Jarret delivers to you a comfortable, customized home that will remain timeless, personal and appealing — a source of enduring beauty, tranquility and happiness. Jarret Yoshida Design promises to evoke a feeling of accessible indulgence, luxury and well-being — for real, everyday living. Jarret’s vision combines sophisticated elegance and relaxed ease, a classic approach that is personalized for each client. Jarret is an interior designer who has traveled the world to develop his distinct style. Studying internationally and at design schools, his work developed a formal cosmopolitan poise, while he remains deeply inspired by the quiet harmony of Japanese æsthetics and the warmth and welcome of his Hawaiian childhood home. His designs reflect this unusual combination of experiences. Design Management is a full service residential Interior Design business that specializes in Home Staging. Kathy has worked in a broad range of styles for projects large and small. In business since 1999, Kathy has developed a reputation for excellence.